In the traditional sense, martial arts belts have been used in Japan and Korea for hundreds of years, in the sense that they are part of traditional dress. The colored martial arts belts, to denote grade and ability, is a fairly modern addition to the traditional martial arts class. Founder of Judo, Jigoro Kano first established it and it as taken on by Gichin Funakoshi, founder of Shotokan Karate and founder of Taekwondo, Byung Jick Ro. This grading system has caught on and is now popular all over the world in many Japanese martial arts and Korean martial arts. Styles include Karate, Judo, Jiu-Jitsu, Aikido, Taekwondo, Tang Soo Do and even Kickboxing and really recent Brazilian Ju Jitsu has taken on the belt ranking system. 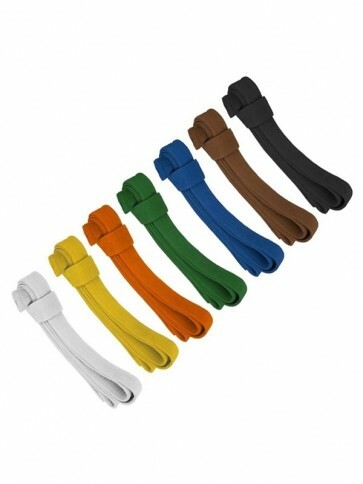 These Martial Arts Belts available to buy at Enso Martial Arts are 100% cotton and have eight rows of stitching for extra strength and durability.